Mark your calendars for Saturday, October 19, 2019! Tails but no Black Tie is a fundraiser like no other. 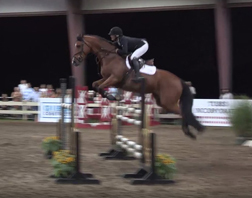 You will see the country's finest horses execute jumps with speed and precision - competing for $10,000 in prize money! 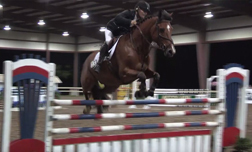 The competition takes place at Equest Farm, New Orleans' premiere equestrian center, located in City Park. When you walk through our gates, you will be transported away from the city into a country estate. Grandstand ticket holders will enjoy a lovely catered dinner, open bar, and up-close viewing of the Grand Prix. Grandstand ticket holders will be able to join the competition by betting on their favorite horse and rider team in the Calcutta. *Click here for the 2019 Tails Event Schedule. Come out and support City Park at New Orleans' only Grand Prix! All proceeds from Tails but no Black Tie benefit New Orleans City Park.